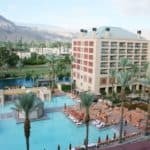 If you’re planning a Southern California vacation, you might wonder if a day or two at Universal Studios Hollywood is appropriate for your family. I’m breaking down all the must-know details in this guide with Universal Studios Hollywood tips for first time visitors. 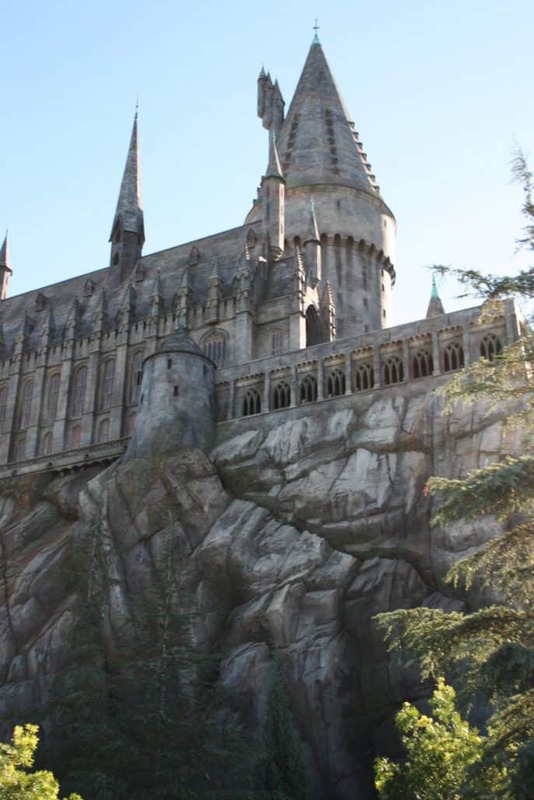 If you’ve never been to Universal Studios Hollywood before, you might have a few questions about whether it’s the right SoCal theme park for your family. 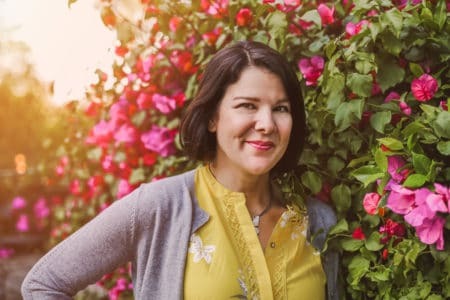 I’m sharing my personal tips for taking young children, the thrill rides, maximizing shorter lines, creating a park plan on how many days to visit and of course, tips for The Wizarding World of Harry Potter! Read your map for all the details at Universal Studios Hollywood. Where is Universal Studios Hollywood? The drive to the Anaheim & Buena Park theme parks will be over an hour so consider renting your own vehicle and not relying on ride share. San Diego theme parks will take you nearly 3 hours drive. You’ll want to avoid rush hour traffic by driving before 6 am or after 9 pm at night. Your best bet is booking a hotel nearby to completely skip freeway driving in Los Angeles on the day of your visit. How is Parking at Universal Studios Hollywood? Universal Studios Hollywood offers several levels of parking with costs ranging from $25-50 for a full day. There are discounted rates for arrival after 6 pm. We used General Parking which put us inside a garage at the far end of City Walk. The trek through this outdoor shopping and dining center took about 15 minutes to get to the front gate. 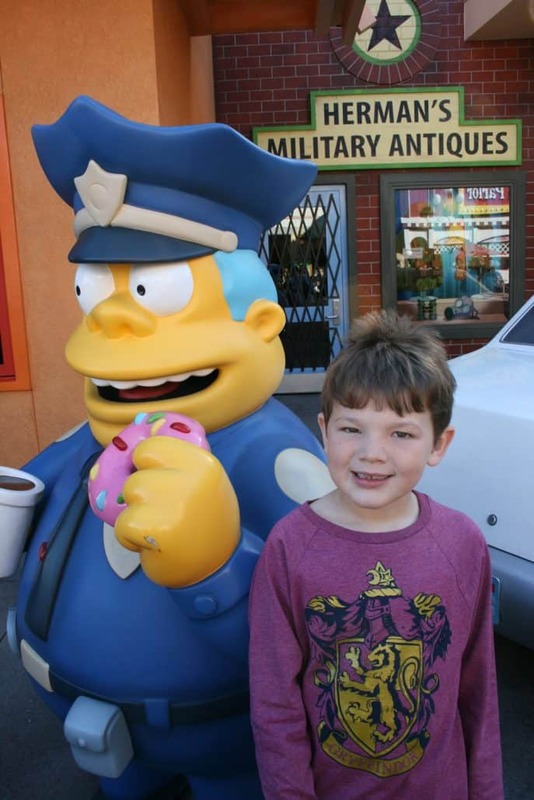 Where Can I Get Universal Studios Hollywood Tickets? There are several ticket options for Universal Studios Hollywood, all of which I outline later in this post. 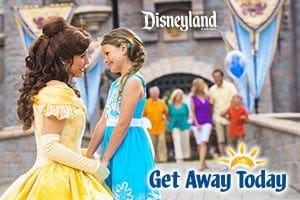 Purchase discounted tickets and vacation packages for Universal Studios Hollywood through my affiliate Get Away Today. The Sheraton Universal Hotel is close enough to walk, though they also offer guests a free shuttle to the entrance. 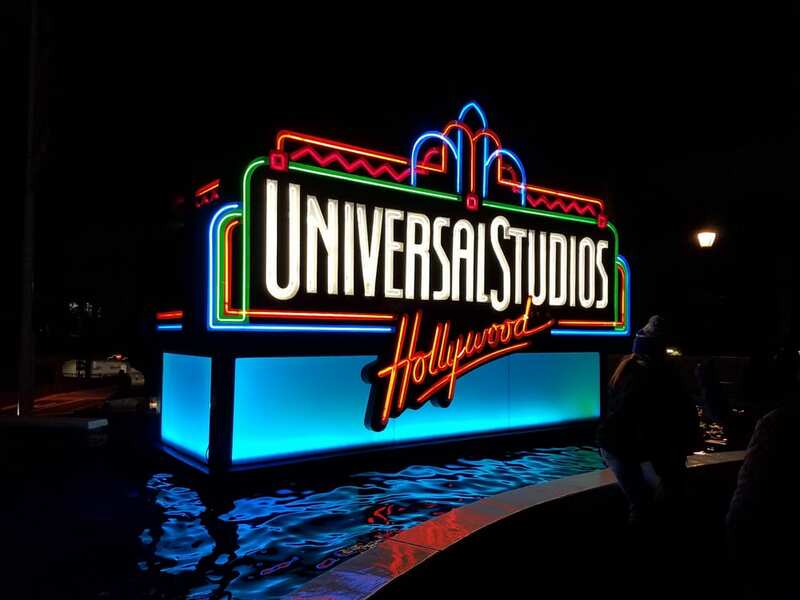 Looking for Universal Studios Hollywood vacation package deals? Purchase discount tickets and vacation packages from my affiliate Get Away Today. Use the Promo Code REWRITTEN and receive an extra $10 off any 2-night or longer Southern California package. (Hotel and 2 ticket minimum purchase to qualify for the discount). 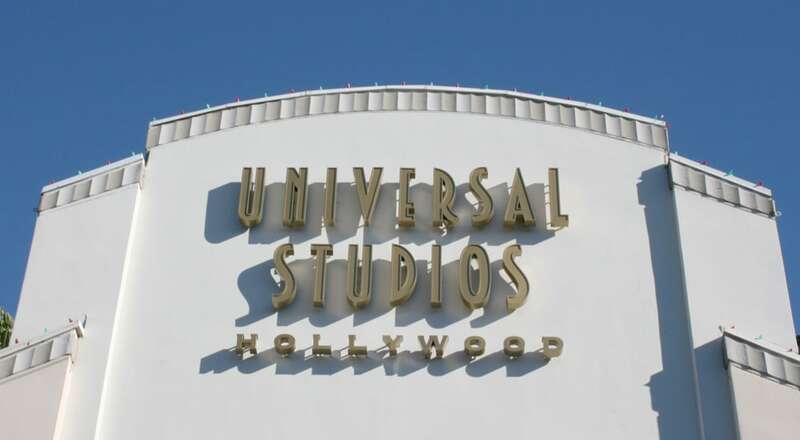 Are There Security Checks at Universal Studios Hollywood? All Southern California theme parks have some sort of security check before guests are allowed to enter the park. This can include bag inspection, metal detectors and more. 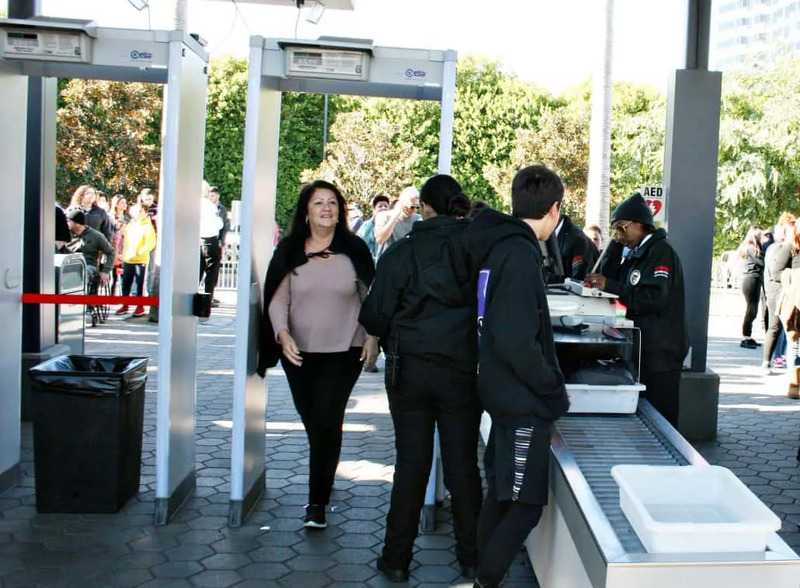 At Universal Studios Hollywood, instead of standing in super-long lines while security guards unzip every pocket in your bag, your belongs will be scanned through an X-ray machine. You’ll place your bags onto a conveyor belt, just like at the airport. Bags are still inspected but not opened (unless something suspicious is noted). Everyone will still walk through a metal detector after removing items from their pockets. We were able to pass through security in a quick 5 minutes, even on a busy weekend! My family breezes through the security line. What Should I Bring to Universal? Just like packing for any theme park, assess your day’s needs. You’ll want to pack in anything that you don’t want to have to purchase inside the park. This includes sunscreen, sun hat, jacket, snacks, cell phone charger, charging cord and a water bottle. Consider a compact backpack or purse that will fit into a small locker (more on why that’s important later). Is Outside Food Allowed at Universal Studios Hollywood? 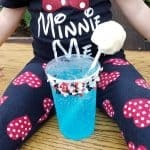 Most area theme parks do allow their guests to bring in snacks and food with a few restrictions. Items should not be in glass containers and food needs to be packed inside a backpack or soft-sided container (no coolers and nothing larger than 8.5″). Fast food is usually not permitted. And of course, no alcohol or illegal items. Consider packing in small water bottles as well as snacks like dried fruit, nuts, and firm crackers, granola bars and pretzels. 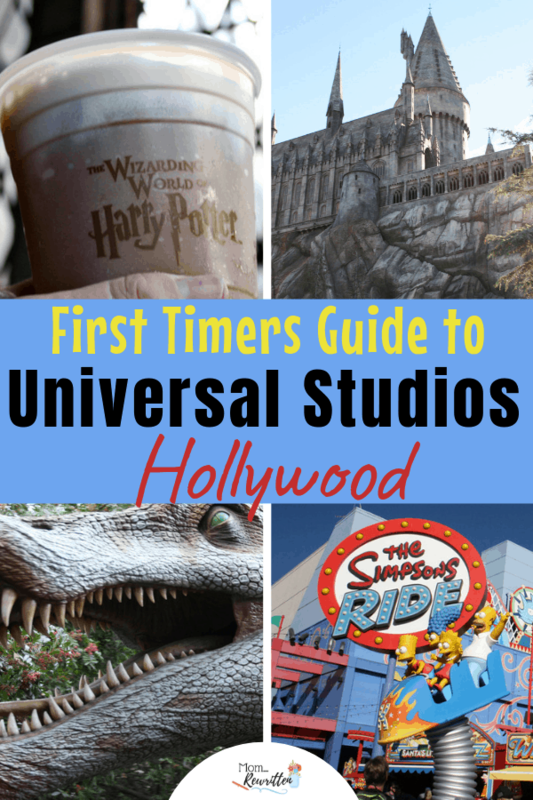 How Many Days Should You Spend at Universal Studios Hollywood? While three days (or more) is the usual recommendation for Disneyland, Universal Studios Hollywood could be experienced in a single day. We visited on a Saturday during the holiday season. The park was very busy, with most ride waits an hour plus. In the 9 hours we were at Universal Studios Hollywood, we were able to go on all the rides except one. We also skipped two of the shows. There are definitely ways to take advantage of the time crunch (keep reading). If you want to visit Universal Studios Hollywood in one day, I’d recommend first that you schedule a visit during a non-peak time (not during holiday weeks, summer break or any days when kids are out of school). A mid-week visit is optimal but then, you’ll also be dealing with L.A. traffic! 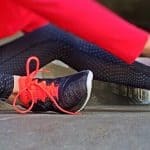 Consider booking a nearby hotel to stay overnight and either walk to the park or take advantage of a free hotel shuttle. This will get you to the front gates early. Universal Studios Hollywood is over 400 acres, with most of this area part of the working studio. 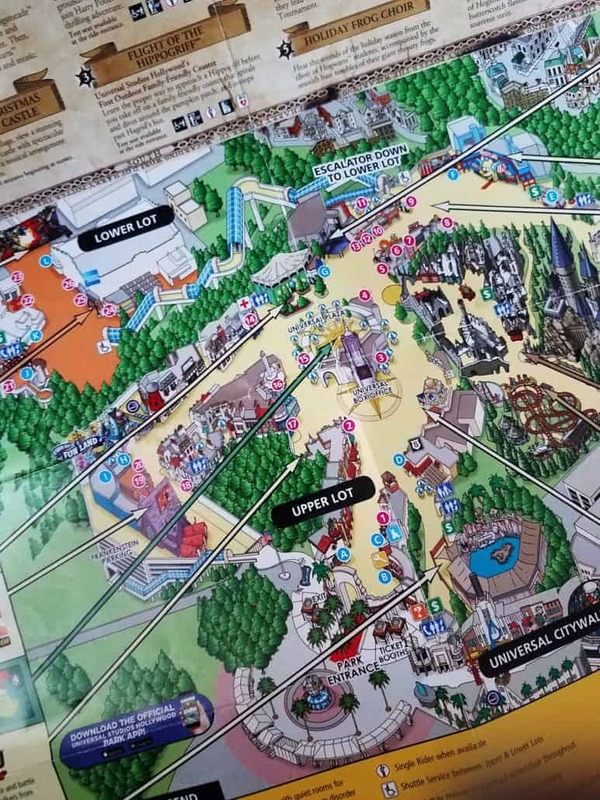 The theme park itself is reasonably walkable with attractions on two levels. They are divided by long escalators (takes about a 10 minute ride to get to the next level). There are two rides in the lower lot (with a Jurassic Park-themed ride in refurbishment). There are 6 rides on the upper level. Other attractions at Universal Studios Hollywood include kid-friendly play areas, live action shows and walk-through attractions. Can You Get a Front of the Line Pass at Universal Studios Hollywood? Universal Studios Hollywood’s Express Ticket: (previously called the Front of Line Pass). Guests may bypass the queue once for each ride, attraction and seated show for that day. The additional cost (above the cost of your regular ticket) is between about $70-130. The higher rate is dependent on peak season. Universal Studios Hollywood VIP Experience:VIP receive valet parking and VIP entry to the park, unlimited express ride access, best seats at shows, VIP lounge access with snacks and refreshments, a gourmet meal in the private VIP dining room, expert guided tour, and exclusive back lot access. VIP Experience has a cost of $349+. Faster lines means more time for extra things, like using your Interactive Wand in the Wizarding World of Harry Potter. The attractions at Universal Studios Hollywood are fairly intense with lots of movement. Most of these attractions do not offer on-ride storage and your possessions must be placed inside of a locker before boarding the ride. Universal Studios Hollywood conveniently offers complimentary locker rental at certain attractions. Guests with backpacks, purses, cell phones, or other items simply step inside the locker room before joining the queue. After a quick fingerprint scan, you’re assigned a locker to store your items for several hours. After the ride, return to the locker to retrieve your goods. There’s no payment unless you want to store your items inside of the locker for longer. 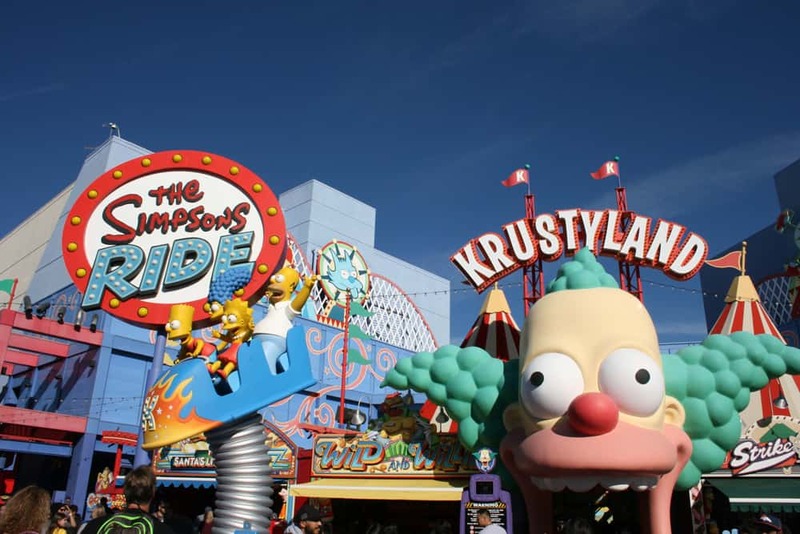 What Are the Thrill Rides at Universal Studios Hollywood? Revenge of the Mummy – High-speed indoor roller coaster with scary scenes and mummies. Transformers: The Ride – 3D – This motion simulator car ride immerses you into a war zone with Transformers working to save the world. Walking Dead Attraction – Not a “ride” but a scary walk-through featuring live actors who frighten guests. This was my 15-year old son’s favorite part at Universal Studios Hollywood. Harry Potter and the Forbidden Journey – Intense motion simulator that moves your ride vehicle (broomstick?) with the action. 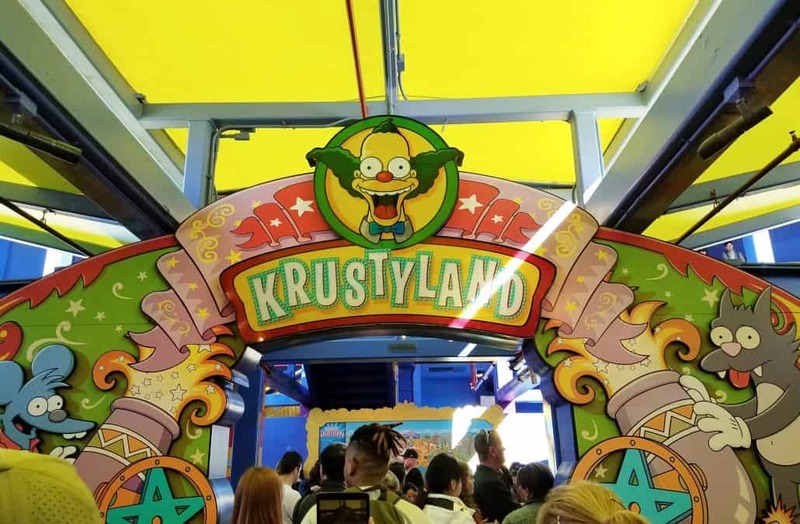 The Simpsons Ride – Another motion simulator that mimics a roller coaster with the addition of height. A large majority of the thrill rides at Universal Studios Hollywood include motion simulators. If you err towards motion sickness, you may want to consider using precautions to avoid illness. Non-drowsy “sea sickness” medications or pressure-point bands can help. If all else fails and your family goes on the rides without you, there are rooms available to wait in (designated “child-switch areas”) for certain attractions. Are there Single Rider Lines at Universal Studios Hollywood? Several rides also offer single rider. This is appealing to older kids, teens and adults who are able to separate from each other. Guests using the “single rider” line will be chosen to fill empty spots inside ride cars. This means you may not request to be seated with the rest of your group. Single Rider access isn’t always open (it was closed for Revenge of the Mummy on our visit). We used single rider for one of the rides. The wait time was only ten minutes versus the posted 70 minute wait in the regular queue, which was a huge time saver. Of the 5 of us, three of us were seated in the same car albeit in different rows to fill the empty spaces. It’s not all high intensity at Universal Studios Hollywood. 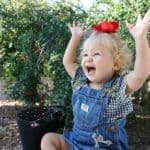 Fortunately there are some family-friendly attractions that younger kids can enjoy as well. High restrictions may still apply. Flight of the Hippogriff – a tame roller coaster for families in The Wizarding World of Harry Potter area. Silly Swirly Fun Ride – located in Super Silly Fun Land area. This space also includes a kid’s water play and dry play area. Despicable Me Minion Mayhem – A motion simulator similar in style to The Simpsons Ride with mist and lighting effects as well as 3-D. The World-famous Tram tour at Universal Studios Hollywood is a cornerstone can’t-miss attraction. The ride neatly combines a historical aspect (that appeals to adults familiar with the movie-making experience) with jaw-dropping experiences like King Kong 360 3-D and Fast & Furious – Supercharged (that kids and teens will enjoy). 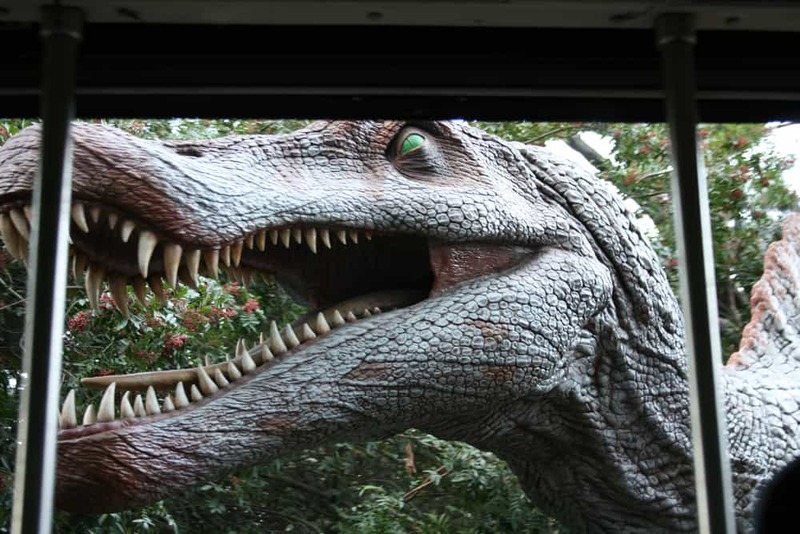 You’ll “meet” a Jurassic Park dinosaur on the Universal Studios Hollywood tram tour! Universal Studios Hollywood is a working movie studio and both movies and TV shows are filmed here. The tour will take you through areas that have been used on past productions and you might even drive through a live set. Our tour tram drove through the “town” where the show The Good Place is filmed. And we went past several open sound stages where you could peek inside and see the set ups. Guests can also bring snacks on the Studio Tour. After waiting in line for over an hour and then going on the hour-long Studio Tour we were wishing we’d brought a snack! 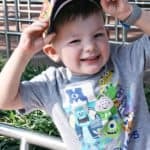 What Can Babies & Toddlers Do at Universal Studios Hollywood? Based on the height requirements (most are 40″+), I didn’t bring my 2-year old with us to Universal Studios Hollywood. There aren’t really too many attractions that are appealing to younger kids. However, if you do decide to bring a baby or toddler with you, Universal has a Child-Switch program available. It’s actually quite convenient if you do have younger kids with you. Here’s how Child Switch works at Universal Studios Hollywood: Your party stays together through the line. You’ll bring your child with you in queue and not have to split up the family. Waiting rooms can also be used for family members who don’t want to ride. Child-Switch waiting areas are located at the loading zones of the rides. One guest in your group steps into the room with the child while the rest of the group rides. Then that person switches places with another adult after the ride so the second person can have their turn. I peeked inside the waiting room for Transformers: The Ride – 3D. The area was roomy with plenty of benches for parents and kids and had a large window so families could see out. READ MORE: The child-switch program is just one way How Universal Studios Hollywood is Better Than Disneyland. 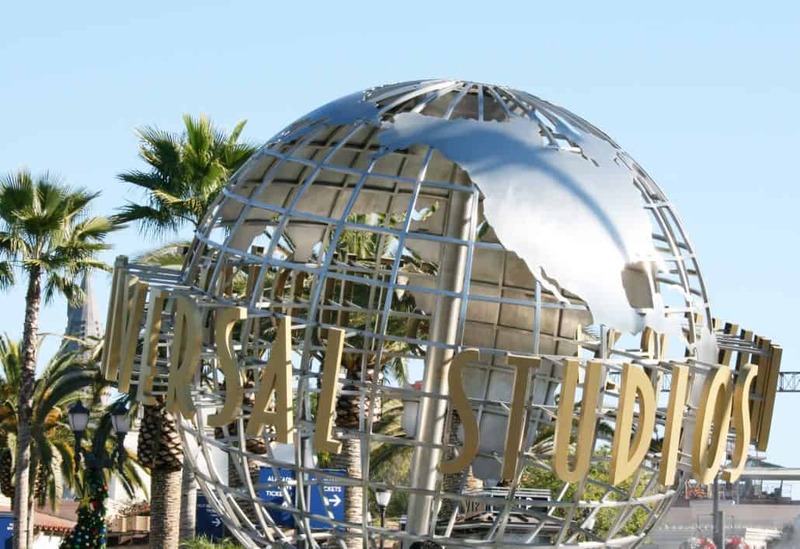 Can You Do Universal Studios Hollywood With Special Needs? The rides and attractions at Universal Studios Hollywood are really intense. Carefully assess the special needs of those in your party and determine whether they’ll be able to take in the realistic motion simulators, intense rides and bright lighting used throughout the park. Universal Studios Hollywood has a Family Center with quiet rooms that guests with autism (or other special needs) and their families can rest in. The space is also open for nursing mothers. This Family Center allows families to take breaks as needed, without having to leave or return to the hotel. 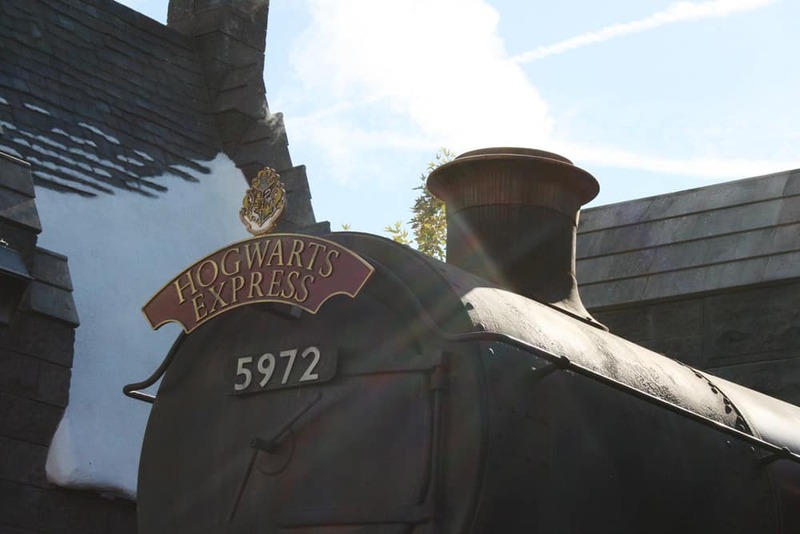 Save plenty of time in your schedule for exploring the Wizarding World of Harry Potter. 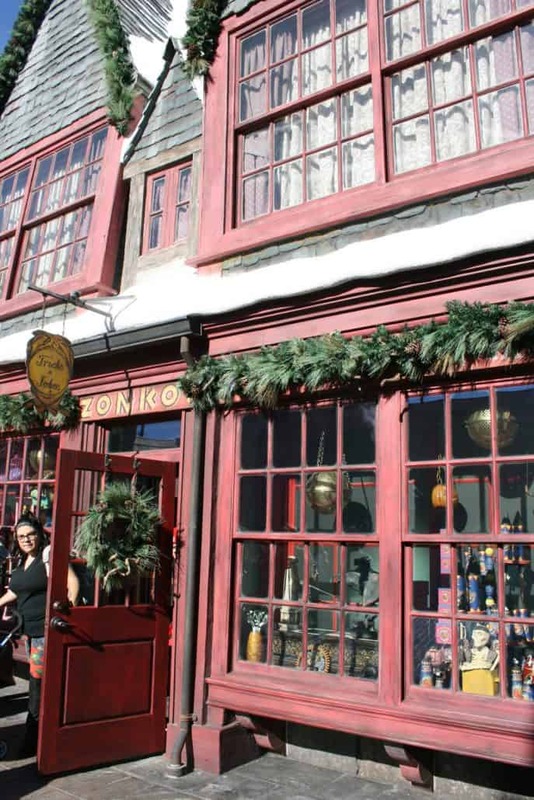 If you’re a fan of the Harry Potter book or movie series, you will absolutely feel immersed in the village of Hogsmeade. There are so many intricate details in this themed area at Universal Studios Hollywood you may want to spend all day here! I know that in our short day at Universal Studios Hollywood, we didn’t get enough time to properly explore the Wizarding World of Harry Potter. We’ll certainly be planning a return visit! Harry Potter and the Forbidden Journey – You’ll definitely want to head here first thing in the morning. This attraction is located inside the towering Hogwarts castle. The queue takes you through significant scenes from the movies, like Dumbledore’s office, the greenhouse and the talking paintings, which makes the long wait interesting! 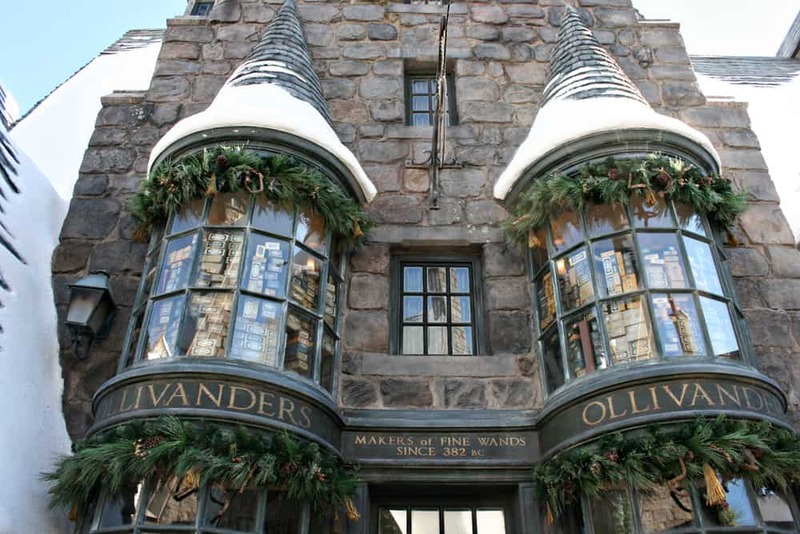 Ollivander’s Wand Shop – Purchase a special interactive wand at Ollivander’s Wand Shop. Guests can cast spells at specified locations in this area by repeating incantations. With an exacting wave of the wand, magic happens right before your eyes! 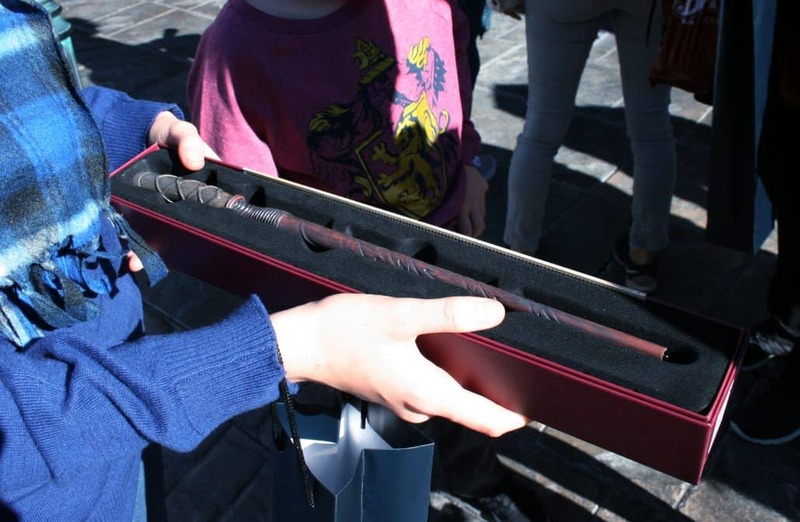 How much are Harry Potter wands at Universal Studios Hollywood? There are two versions (interactive and “non-magical” replicas) and they cost between $25-50 for these versions. Even if you don’t buy a wand, the pre-show before entering the shop is whimsical and fun (a participant from the crowd is chosen). My son was picked and it was a delight to watch the magic unfold! 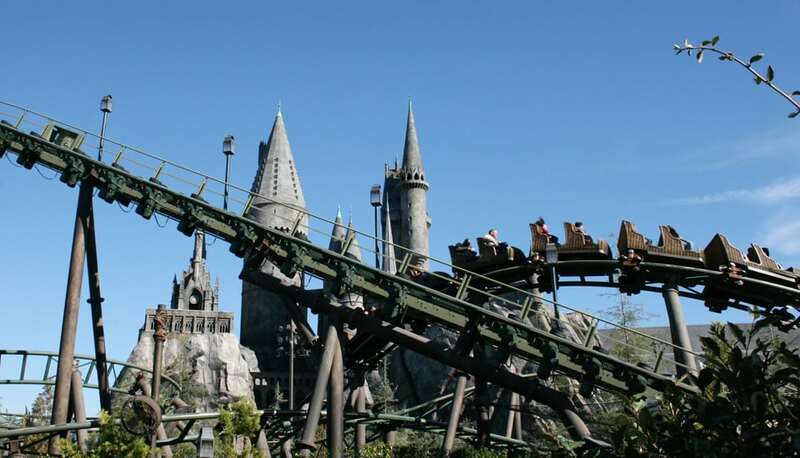 Flight of the Hippogriff – This is a family-friendly roller coaster that’s appropriate for anyone 39″+. 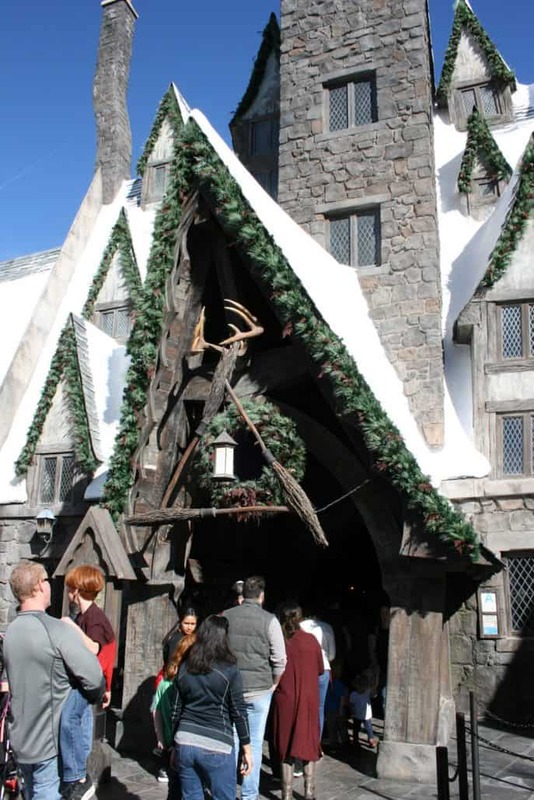 Three Broomsticks – This dining location is a must. Not only is the interior impressive, the food is really delicious! 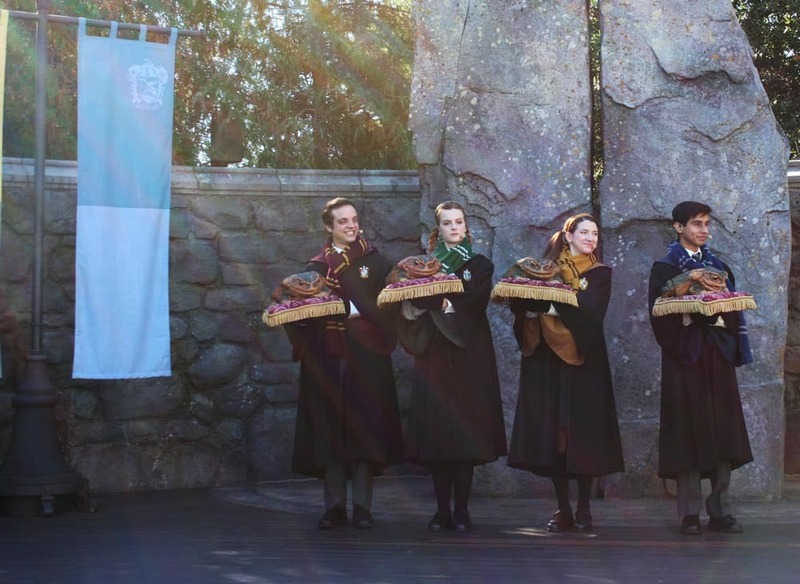 Frog Choir & Triwizard Spirit Rally – These live entertainment features with singing and dancing draw a modest crowd. Shopping Locations – With an impressive 8 shops, you’re sure to find the perfect Harry Potter souvenir! Try Honeydukes for sweets like Chocolate Frogs with wizard trading cards & Bertie Bott’s Every-Flavour Beans. Zonko’s Joke Shop has a massive amount of fun gag gifts. Are There Character Meet n’ Greets at Universal Studios Hollywood? There are many figures to pose with at Universal Studios Hollywood. Lines we saw were generally pretty short (just a few people waiting) except for the Transformers, which was about 15 people. You’ll need to bring your own camera, as there isn’t any system available like Disney’s PhotoPass. Don’t want to wait for characters? There are plenty of figure to pose with too! All of the dining options at Universal Studios Hollywood are quick service, which entails ordering at the counter and then picking up your own food. 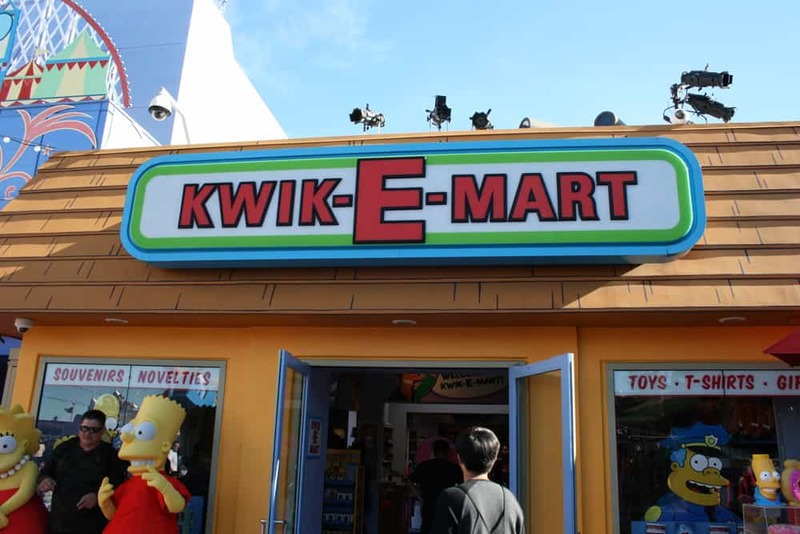 There are no full-service restaurants inside the theme park. 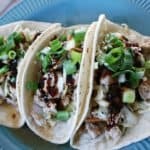 Despite the fast food vibe, there is an option that feels more like a regular restaurant. Delicious food at Three Broomsticks inside The Wizarding World of Harry Potter makes this restaurant a must-do. Located inside the Wizarding World of Harry Potter is the Three Broomsticks. This dining location is generally recognized as the best restaurant at Universal Studios Hollywood. 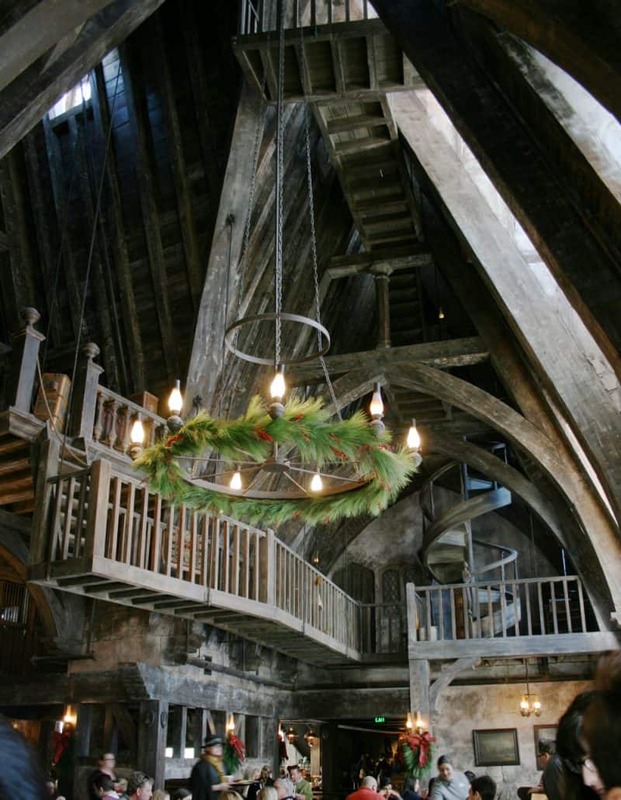 Beyond the immersive feeling of being in Harry Potter’s world, the restaurant is large and accommodating. 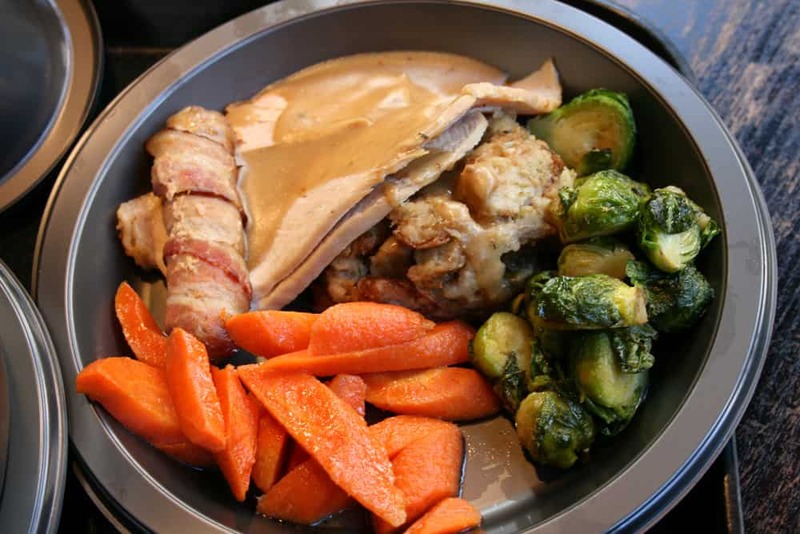 The food we enjoyed was absolutely delicious, more like what we’d make at home for Sunday dinner and less like the fast food is really is! We ordered the Great Feast to feed our group of six and it was just enough food (we actually had leftovers!) 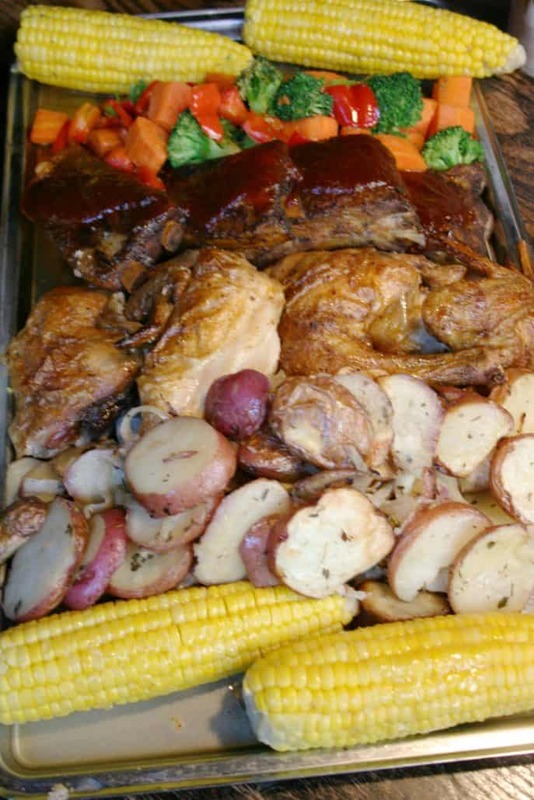 The Feast is served with a huge bowl of salad and a metal sheet stacked with ribs, roast chicken, veggies and potatoes. 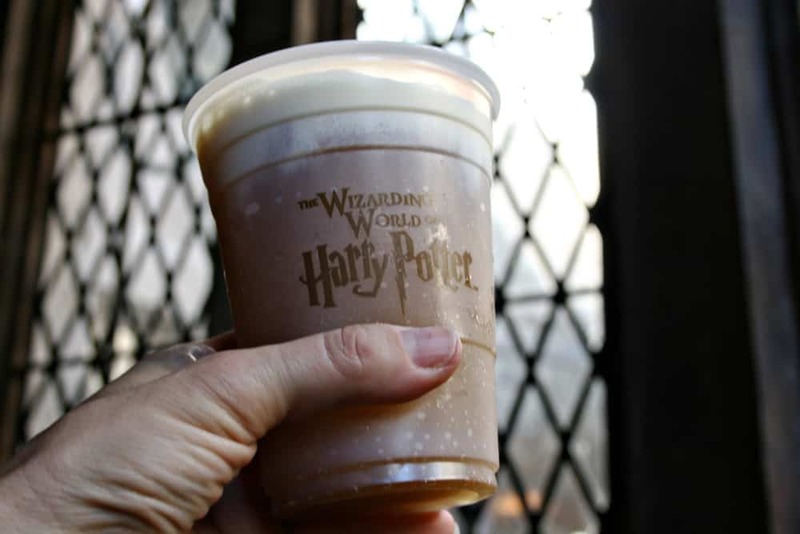 You can also order Butterbeer here, which is a must. This sweet drink comes in three varieties, frozen, hot and cold. You can also find Butterbeer hard packed ice cream! 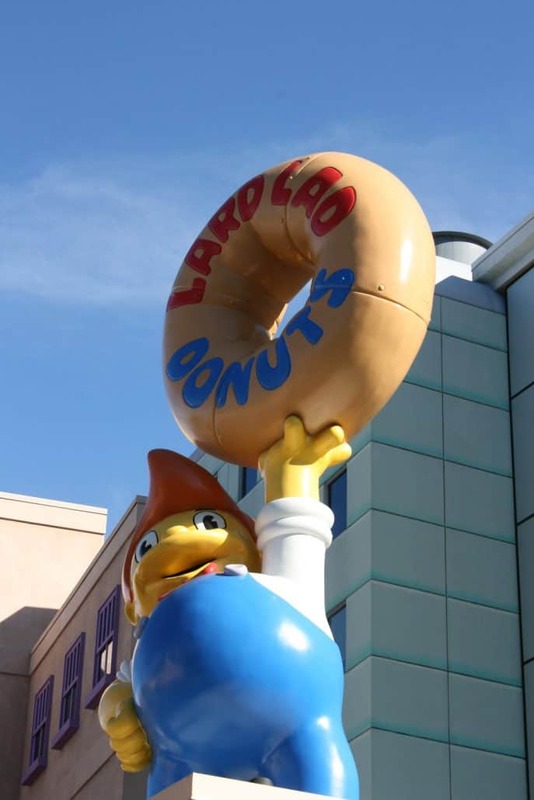 Find giant sprinkle donuts at Lard Lad inside the Springfield area. Just outside of the entrance to Universal Studios Hollywood is their City Walk, an outdoor shopping and dining area. Just like Disneyland’s Downtown Disney District, this location is filled with places to find souvenirs or catch a full-service meal. We headed out of the park about 20 minutes before closing and got in quickly for dinner at Johnny Rocket’s for burgers and fries. 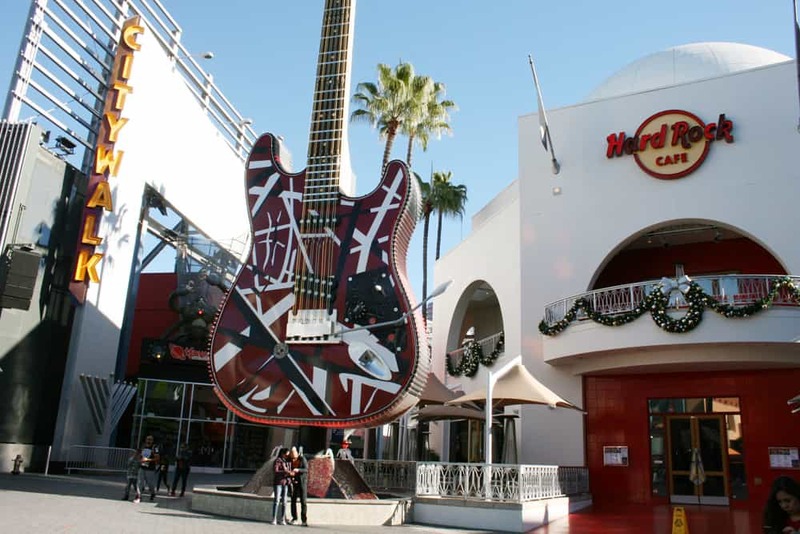 There are 30+ dining spots inside City Walk as well as a movie theater, shops, nightclub and concert venue. Universal City Walk is another great dining alternative. Universal Studios Hollywood does offer alcoholic drinks at locations around the park. Get beer on tap or a mixed cocktail at Mulligan’s Irish Pub. 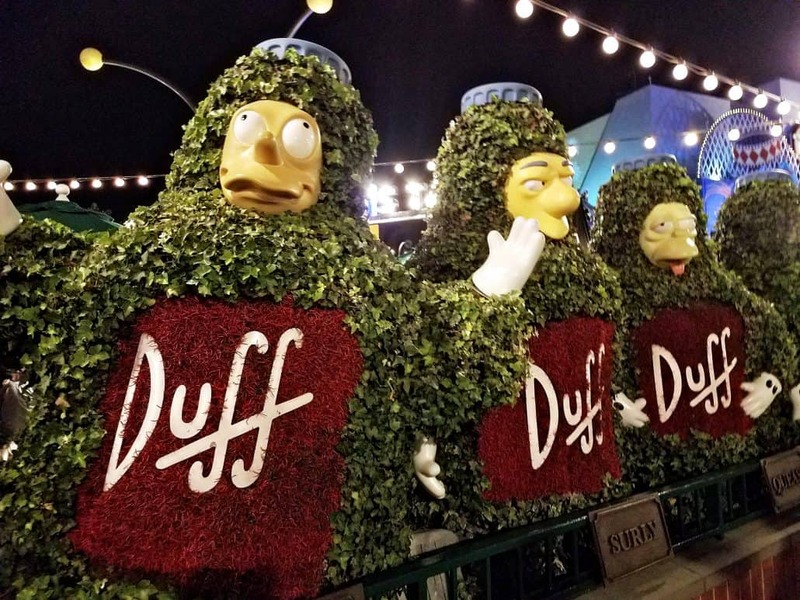 Fans of The Simpson can even grab a cold Duff beer inside Moe’s Tavern or chill in the Duff Brewery Beer Garden. Want to get into The Wizarding World of Harry Potter 30 minutes before everyone else? 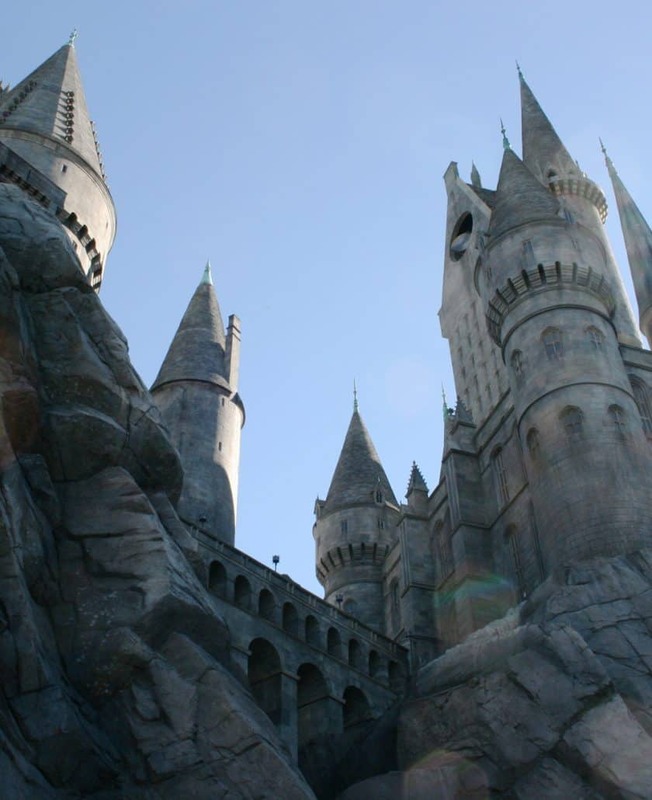 Purchase a ticket or Preferred Hotel Package online directly from Universal Studios Hollywood to receive early park admission to The Wizarding World of Harry Potter.